So a new season of Ore no Imouto Konna ni Kawaii Wake ga Nai is in full swing and I think I'm starting to hate it haha. I usually don't dislike many anime and can at least find something to like in most works but Kirino is really annoying me in this one haha, and It's not like I liked the first season that much more or anything. Why the hell do I even watch this? 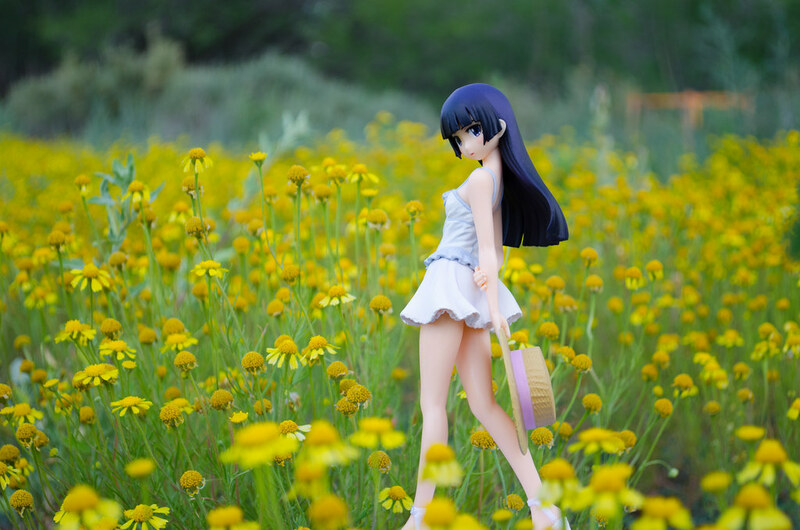 Oh yeah Ruri Gokou. 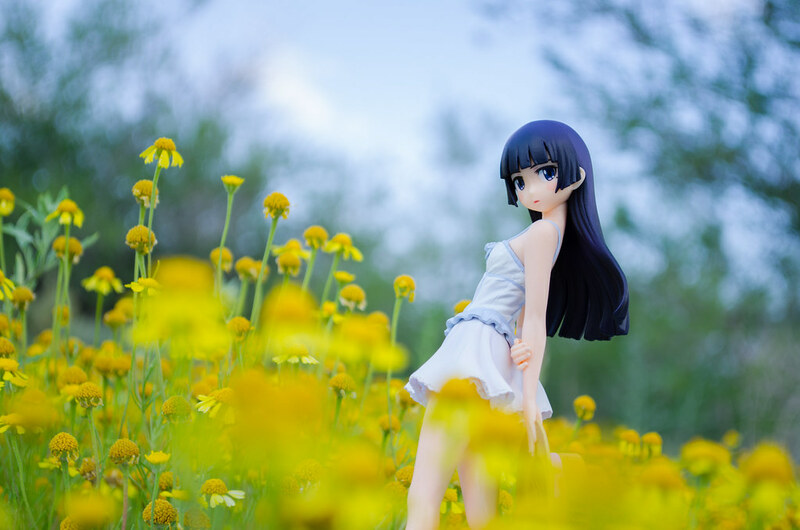 Through the years I have taken many pictures of Ruri Gokou, and based on the amount I guess I could be a bit of a fan of her. "Who the hell is Ruri Gokou?" 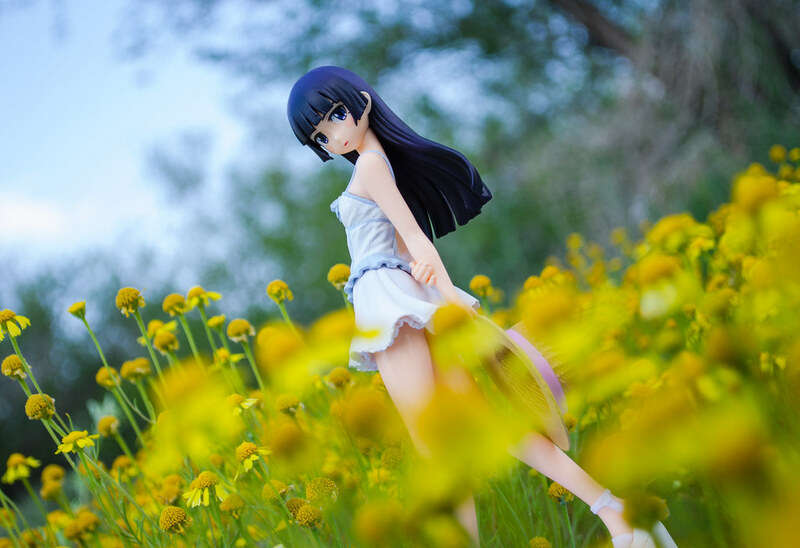 you say, she's Kuroneko, or uh Shironeko in this case, though you'd never hear her real name from anyone 2D or 3D. This time I got a SEGA prize figure of her and she is one of the many I came to acquire by actually playing the god-forsaken machines. 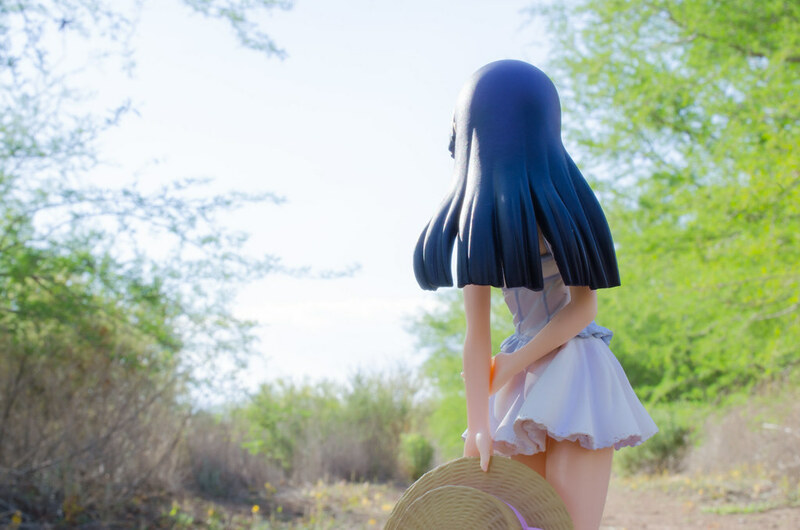 I didn't really notice until I was editing the pictures but this rendition of Kuroneko is ridiculously cute. There's also the fact that I just finished catching up on the latest episode where she comes out in this exact outfit so I might be the tiniest bit biased. Nah, she really is ridiculously cute. 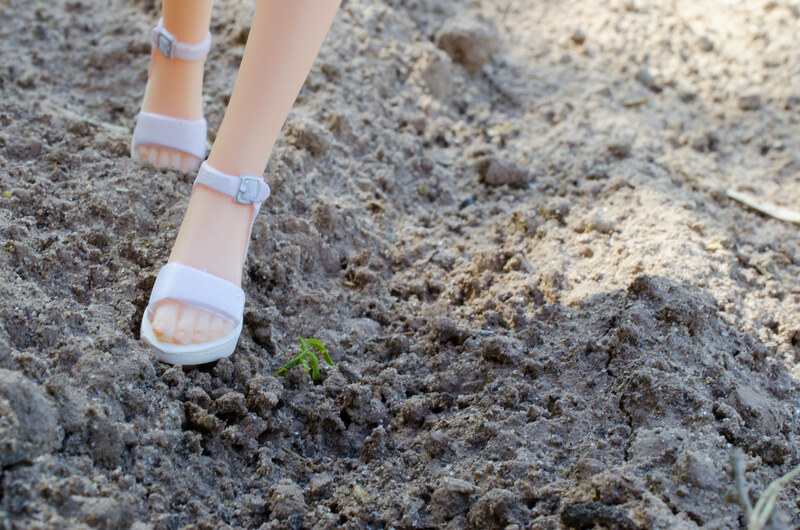 As it is to be expected from prize figures she's pretty rough around the edges, sometimes literally. You can see that the little tie in her summer dress is a kinda mashed together. Even if her production quality isn't top notch, she still seems to have an awesome sculpt and expression. I knew there was a reason I would throw money at the machine to get her! Besides blatant fanboyism. 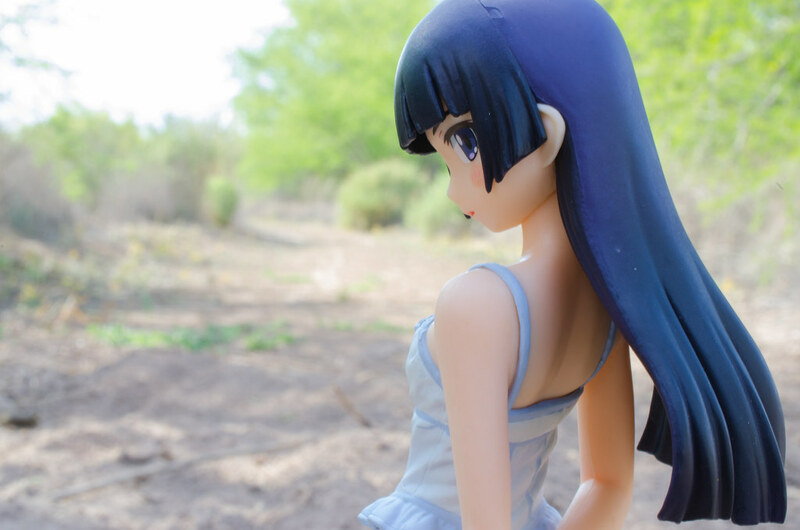 Apart from the rather nasty seam line between her body and her dress, you can see in this picture the slight curve of her chest that fits perfectly with her petite frame. Ah, there are all sorts of wonderful breasts people in this world. By far my favorite part of this figure is her face. 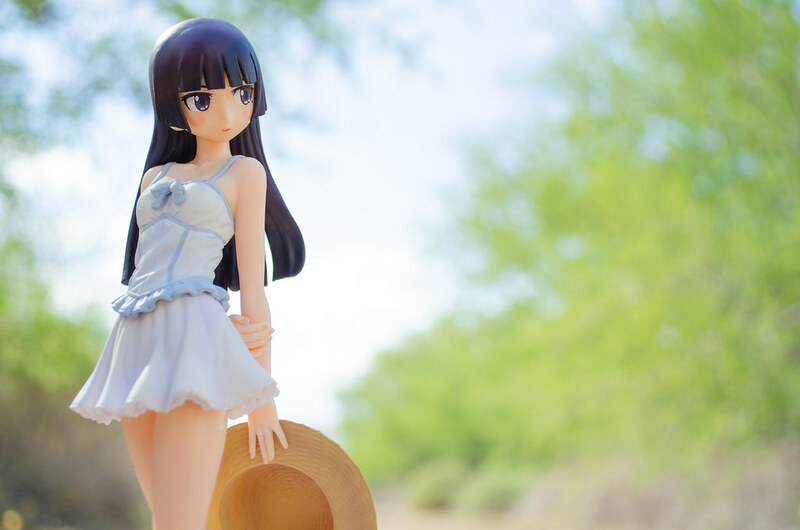 At first I didn't really think she looked that much like Kuroneko, she looked a bit too wide-faced to me, however I've since then revised my opinion. 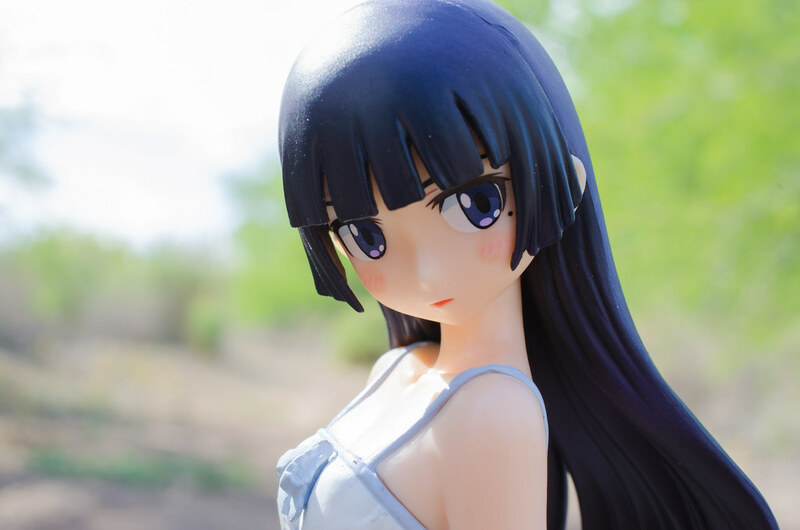 Her cheeks have a slight puffiness that houses the ever so cute blush that she and all other Oreimo girls seem to have. Her eyes fall somewhere between sharp and sweet, much like her personality in the show and beside them is her iconic mole. Ack, I'm falling in love. You really can't see her back with all that hair getting in the way, nor is it anything very elaborate but I very much like it nonetheless. In the anime she wears the very hat! I was a bit disappointed to learn that her hat is pretty much glued to her hand and you can't put it on her. 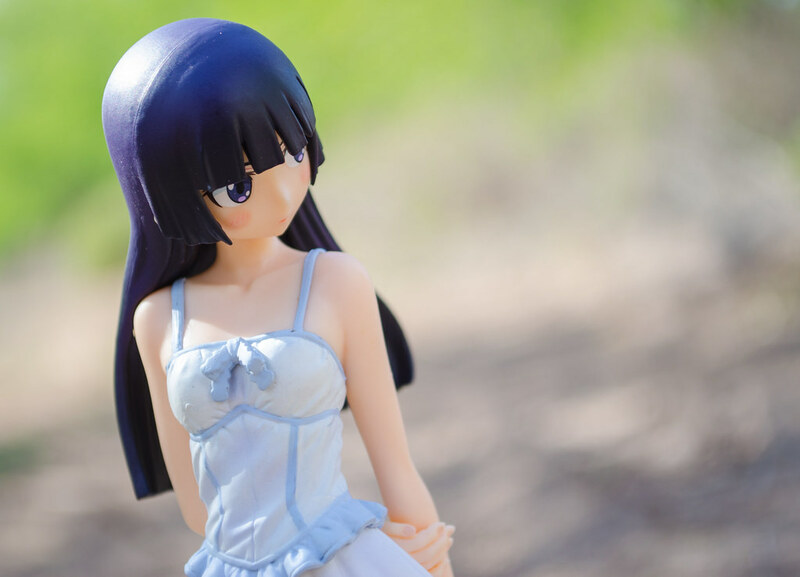 You can also see the little frills on her dress which are pretty well done. 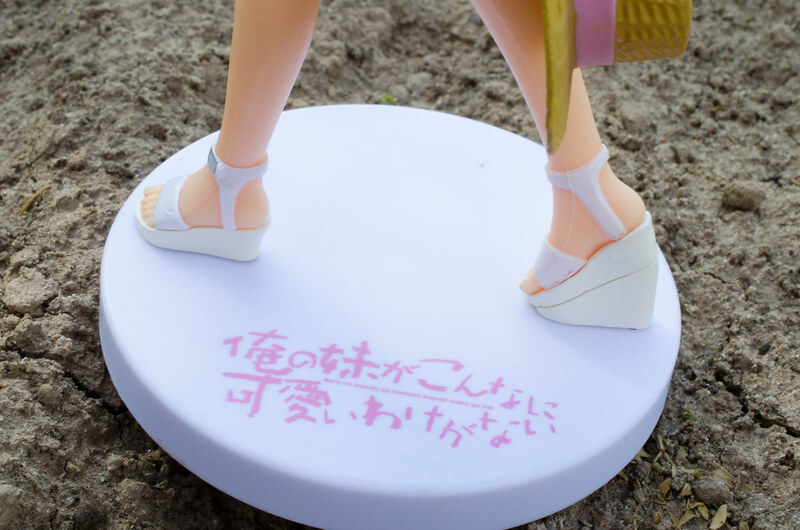 This would be a more fetishistic shot if her toes weren't melded together so obviously. Base is simple and to the point, nothing wrong here. A literal rough around the edge in plain view. "I will have a different name to call you in two months." Close up of the frills. This rendition of her gives her a generous, slightly plump and delicious thighs. I have no idea how she would be in the anime since I don't remember getting this type of fan service from her. You can also see her fingers are pretty well done. I get the feeling that Oreimo is going for a full-blown siscon ending, you can really get that vibe considering many of the lines between Kirino and Kyosuke can be taken with double meaning. Though I guess that is part of the appeal of this series, it keeps the tension up at the expense of the viewer's sanity. All this is what I gather from the anime alone as I have not read the LN or manga. Well here's hoping there's less Kirino and more Kuroneko, man this is gonna be one annoying season ahahaha.